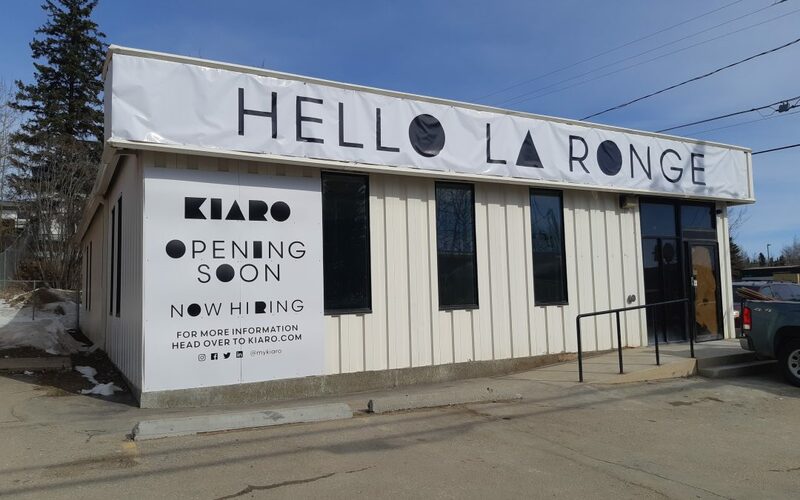 Kiaro, a Vancouver based cannabis retail store, is slated to open its doors in La Ronge in May. Located at the old CIBC building on La Ronge Avenue, the store will sell a variety of dried cannabis flowers, pre-rolled products, oils, capsules and accessories. The merchandise the stylish shop sells complies with both provincial and federal regulations and everything sold is from licenced producers in Canada. Kiaro prides itself on providing customers with a welcoming environment with an individually tailored cannabis experience. Their motto is “stand up and stand out to inspire stories of enjoyment” and they encourage their guests to share positive Kiaro stories with them. The Kiaro team has already been involved in the local area for a number of months receiving feedback from both La Ronge council and the Lac La Ronge Indian Band Chief and Council. Of 51 retail licences distributed by Saskatchewan Liquor and Gaming Authority, three of them went to First Nations communities. The modern, clean design of the store will also feature artwork from two artists from La Ronge for both the interior and promotional material. The collaborative art campaign called “Inspire Your Story” tasked the artists with creating a piece of art that embraces and celebrates the nature of cannabis. While some concerns have come forward about a lack of consultation around licencing and information regarding the new store, Gordon says La Ronge and the LLRIB has been very receptive. The first Kiaro store in Saskatchewan opened in Saskatoon at the end of January. Kiaro, derived from the Italian word chiaroscuro, means “to emerge from the darkness into the light” which is obviously a nod at the new era of cannabis legalization in Canada. In art, chiaroscuro typically depicts a contrast of light and dark which is displayed through the use of black and white in the store’s décor. Kiaro says it is committed to reducing the stigma around cannabis use by creating inviting and appealing stores with knowledgeable staff on hand to answer any questions that may arise.